As Vice President of Workforce Management Practice and Principal Analyst at Brandon Hall Group Mollie Lombardi wrote in this Workforce Planning blog post last year: “Workforce planning is tricky business. Not just because of the complexity entailed in the process, but because if you ask four people what workforce planning is, you’ll likely wind up with five definitions.”. So, what is Workforce Planning? Workforce planning is a core function of human resources, and it’s key to the identification and analysis of what an organization is going to need in terms of its talent. But there’s a case to be made that workforce planning is the one process that creates the highest level of risk for the organization if stakeholders don’t work together adequately. Finance passes the ball to HR , and HR uses their workforce expertise to refine the plan. In an ever-evolving business environment, it’s challenging for companies to plan ahead and anticipate their future needs. That said, a strategic workforce plan can ensure you’re prepared for what’s next and that all the right talent and skills are in place to help your company thrive. 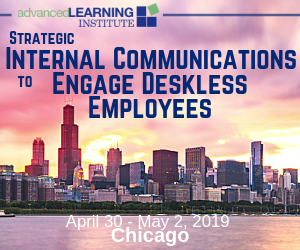 Employee Engagement & Retention turnover rate employee retention strategic workforce planning retention turnover data managementBy Elsbeth McSorley. An organization’s workforce is also, however, its most expensive asset, and workforce management (the development of employees, retention of skilled talent, etc.) Automated workforce management solutions can also help to reduce unplanned overtime. One of the best investments organizations can make toward the satisfaction of their employees is in workforce planning technology and process improvements. Workforce planning minimizes the likelihood that employees, teams, and organizations will have their needs unmet. 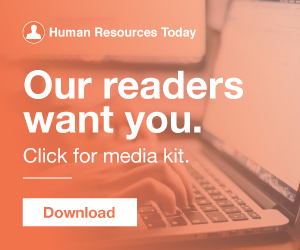 Strategic HR Strategic Planning Workforce Planning FeaturedHR leaders are often perceived by line managers and senior executives to deliver the most value when they are firefighting (a.k.a. dowsing “talent fires”). Employee Engagement & Retention People Data organizational growth strategic workforce planning metricsBy Jillian Phipps. talent assessment Cognitive Ability Assessment Behavioral Assessment Require, Hire, Inspire management workshops business plan strategic workforce planningBy Drew Fortin. 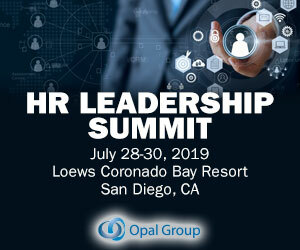 Strategic HR Workforce Planning FeaturedEmployee turnover is extremely expensive, costing up to 1.5 to 2 times an employee’s salary , and those numbers are rising. Finding and training a replacement can be an arduous process. The workforce is evolving. An organization’s workforce planning efforts are now more important than ever before. An organization’s employees are without a doubt its strongest assets; therefore, it goes without saying that workforce planning is critical for long-term success. SWP is critical because it helps maintain a focus on longer-term workforce development and business goals. SWP is the framework around which companies can build a longer-term plan to overcome fire-fighting tactics. The remarks are great for those who are just getting started with workforce analytics and planning, common barriers that you may encounter and also the Vemo framework for effective Workforce Planning Vemo sponsored the 2019 HCI PAWP Conference in Miami earlier this month. Our CEO Peter Louch offered insightful opening remarks and we would like to share with those who where unable to attend. According to research conducted by Accenture , 61 percent of executives say they are not well prepared to change their workforce skill and job mix to transition into a digital business. Workforce planning can help to achieve a healthy balance between external hires and existing company talent.